Toronto, May 24, 2017 – There are skillful tributes and heartfelt homages. 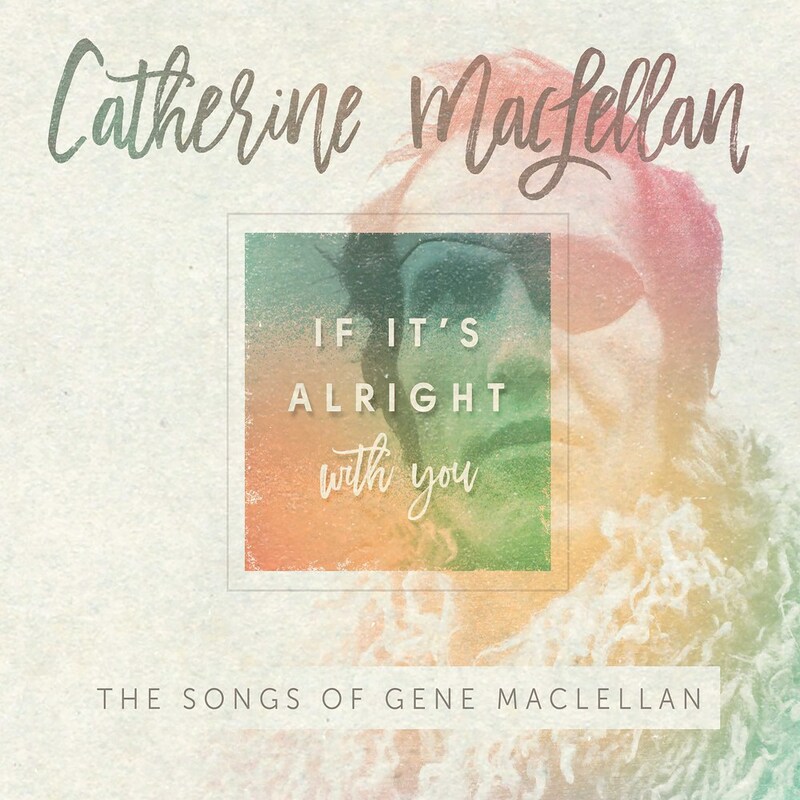 And then there’s If It’s Alright With You: The Songs of Gene MacLellan, a legacy project like no other which finds acclaimed folk singer/songwriter Catherine MacLellan covering songs by her late father, the legendary Gene MacLellan, with a magnificence only blood ties can summon. It arrives June 30 via True North Records. For two decades, Gene MacLellan quietly commanded the ears of the world from his Prince Edward Island home as artists including Anne Murray, Elvis Presley, Loretta Lynn, Chet Atkins, Joan Baez and Ocean turned MacLellan compositions like ‘Snowbird,’ ‘Put Your Hand in the Hand’ and ‘The Call’ into worldwide chart-toppers and repertoire standards. Catherine MacLellan has long explored her father’s catalogue in tangential ways while establishing herself as a peerless musician all her own – see a Roots & Traditional Solo Album of the Year Juno Award for 2015’s brilliant The Raven’s Sun plus a boatload of East Coast Music Awards, Canadian Folk Music Awards, and Music PEI Awards. The discovery has been bittersweet; MacLellan lost her father in 1995 while still in her mid-teens. Yet her readings of his inimitable songs have unearthed rare joy. Witness ‘The Call,’ with MacLellan’s voice shadowing that of fast-rising PEI songwriter John Connolly, who palpably conjures the song’s down-on-his-luck protagonist. This entry was posted in Americana, Canada, Folk Music, Music, News, PEI and tagged Catherine MacLellan, folk, gene maclellan, if its alright with you, PEI, tribute, true north. Bookmark the permalink. I met Gene when I was about 24 years of age. He knew my husband at the time, they were friends, and we wen to hear him perform at the Tradewinds Lounge on Kent street in Charlottetown. It was such fun dancing to his music and we had a chat with him on his break and got his autograph for our 4-year-old son who was as much familiar with his music as we were. Our son, today, Jeff, sings and writes his own songs while working in a government job for a living. He has an album out, Bringing down the Mercury. Some amazing music on that album. And I will always miss Gene. For years, before I got a computer, I tried to find more of Gene MacLellan’s songs, sung by him, because I loved his voice. 10 years ago, when I finally got a computer, and later when I signed up with itunes, I tried to get his songs from them. I researched Gene via Google to learn more about him. Then I tried to get some of his songs from itunes. They did not have any of Gene’s songs. I don’t understand this, Gene wrote many songs, some of which are No. 1 hits, either sung by him or by Anne Murry. Why am I not able to get copies of his songs?